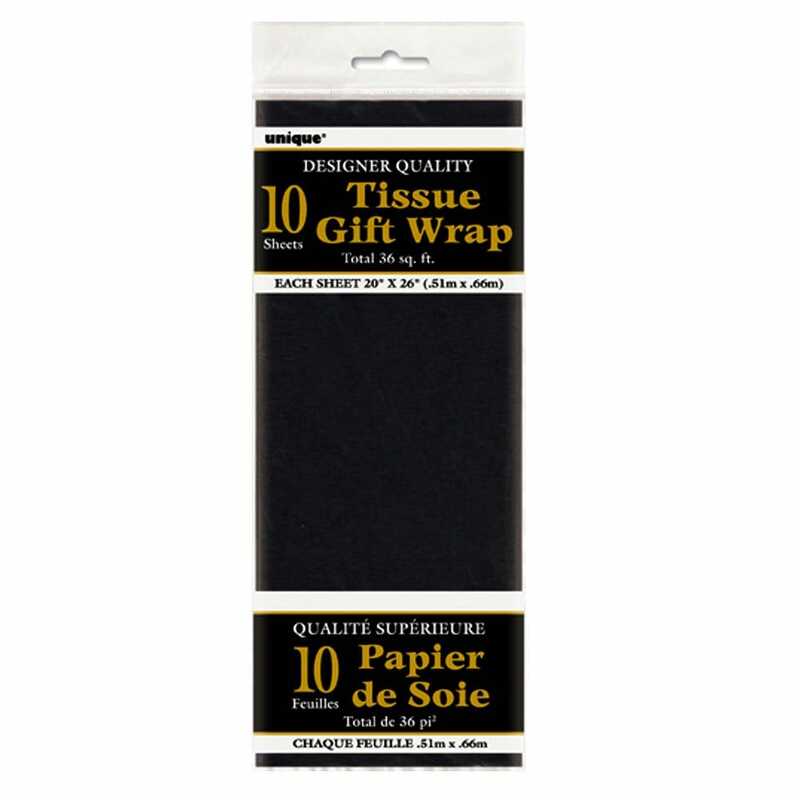 Create great looking gift bags with this black tissue paper. Put the black tissue paper inside our pink or red gift bags to create a fabulous look. This tissue paper comes with 10 sheets in each pack and is designer quality.